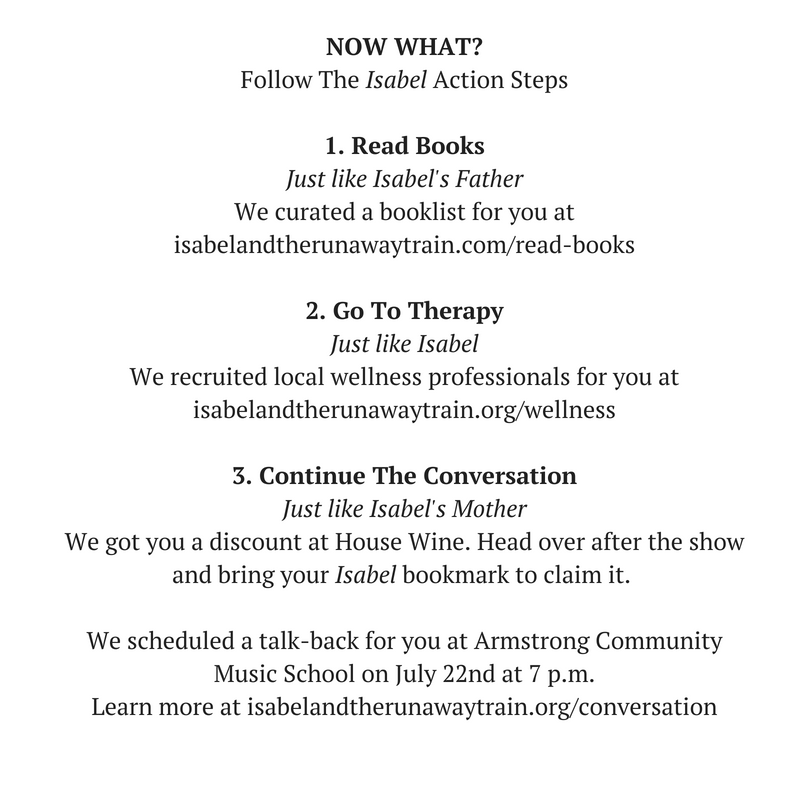 In July of 2018, Anna Westbrook’s Isabel & The Runaway Train premiered at the Dougherty Arts Center in Austin, TX. Over 300 people attended and learned about how healing can happen. Scroll down or download our e-program for a full record of the 2018 Isabel community.